The B1220 PRO loudspeaker is engineered to handle the demands of professional gigs, from small clubs to large stages. Capable of handling up to 1,200 Watts, the B1220 PRO’s ingenious design makes it a great-sounding PA loudspeaker for front-of-house, as well as floor monitor applications. The Behringer EUROLIVE B1520 Pro 2-Way speaker from the Professional Series features a beefy 15" long-excursion woofer and 1-3/4" titanium driver capable of handling 400W/800W program/peak power handling while delivering robust sound pressure levels. Behringer Eurolive B212XL 12-Inch 800 Watt pa passive speaker perfect for Bands, DJs, venues and almost any other sound reinforcement application. The B2520 PRO loudspeaker is engineered to handle the demands of professional gigs, from small clubs to large stages. Capable of handling up to 2,200 Watts, the B2520 PRO’s design makes it a great-sounding PA loudspeaker for front-of-house, as well as side fill monitor applications. The Behringer VP1220 is a professional 800-Watt PA Speaker with 12" Woofer and 1.75" Titanium-Diaphragm Compression Driver. The EUROLIVE VP1220 loudspeaker is exactly what you’ve come to expect from BEHRINGER – 800-Watt power handling capacity, more features and absolutely more affordable! The portable and lightweight Behringer EUROLIVE VP1220F 800W 12" Floor Monitor offers powerful, pristine sound in an easy-to-transport package. 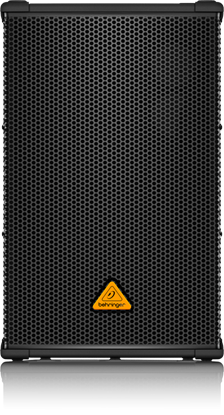 The lightweight, portable Behringer EUROLIVE VP1520 1,000W 15" PA Speaker offers powerful, pristine sound. Designed for musicians by musicians, the VP2520 loudspeaker merges incredible versatility and sonic performance with amazing affordability. The VP2520 is supremely portable and well suited for musical applications, and is the natural choice for commercial installation. Capable of handling input levels up to 600 Watts, the EUROLIVE VS1220 PA loudspeaker delivers exceptional sound quality. The powerful 12" long-excursion driver cranks out big tone in the bottom end and mid-range, while the wave-guide mounted electro-dynamic High Frequency drivers output crisp and detailed highs. 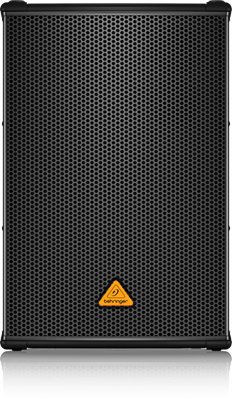 The Behringer Eurolive VS1220F is a high-Performance 600-Watt PA Speaker with 12" Woofer and Electro-Dynamic Driver. The Behringer EUROLIVE VS1520 600W 15" PA Speaker offers powerful, pristine sound reinforcement in a lightweight, portable package. The Bose® F1 Model 812 Passive Flexible Array Loudspeaker is a small-format full range sound reinforcement loudspeaker with a flexible array that lets you control its vertical coverage pattern. Have any questions? Give us a call! We work hard to get it right for you. But don’t take our word for it! "Friendly helpful staff. Happy to let us try out instruments. Massive display of stock. Pretty much every thing you could want is here. Well worth a visit." "Great prompt service. Ordered an item and it was there soooo quickly. Nowhere has such happy helpful staff that are so handsome." "What sets Mega Music apart is their massive range, friendly staff, competitive prices and simply letting you try the kit to see if it works for you with great advice & guidance along the way"
"Great service as a first time customer, really helpful with all my questions and helped out on price. Will be back for sure." "The BEST music shop. Best staff, best prices and they actually KNOW what they are talking about." "We purchased a guitar for my daughter Excellent range to choose from. All the guys were knowledgeable and friendly. Highly recommended." "Always friendly and helpful at Mega Music. I bought my amplifier here a few months back and it was the first place i thought of when I needed to buy an interface and microphone. Some quick googling confirmed they also had the best prices for the Focusrite and Sennheiser gear I was chasing. Thanks guys." "The staff are very helpful and have your best interest in mind. In my experience my relative took me to buy an acoustic guitar but while playing them i didn't like the sound but did not want to seem rude and ungrateful to my relative. The staff member helping us out noticed that i kept looking at the electrics and asked if i would like to try some out, without the staff members help i would have never got my first electric guitar that achieves the perfect sound or songs i am interested in playing"
Join the Mega Music Community and stay up-to-date with all the latest news and offers! © Mega Music Australia Pty Ltd 2019. All Rights Reserved.